The letter addressed to Donald Trump Jr. led to the Republican president's daughter-in-law, Vanessa Trump, being taken to a hospital after opening it on Feb 12. Two other people also went to the hospital but the white powder in the envelope proved to be harmless. Boston: Federal prosecutors in Boston on Thursday charged a Massachusetts man with sending a series of threatening letters containing a suspicious powder, including one addressed to U.S. President Donald Trump's eldest son. The letter addressed to Donald Trump Jr. led to the Republican president's daughter-in-law, Vanessa Trump, being taken to a hospital after opening it on Feb. 12. Two other people also went to the hospital but the white powder in the envelope proved to be harmless. Prosecutors charged Daniel Frisiello, 24, of Beverly, Massachusetts, with mailing a threat to injure a person as well as false information and hoaxes for sending threatening letters to at least five addresses around the United States, according to court papers. The first letter, sent to Donald Trump Jr.'s address in Manhattan, contained a letter that read in part, "You are an awful, awful person ... you are getting what you deserve," prosecutors said in court papers. Similar threatening letters were send to Democratic U.S. Senator Debbie Stabenow of Michigan, actor and Republican U.S. House of Representatives candidate Antonio Sabato Jr., interim U.S. Attorney for California Nicola Hanna and a law professor at Stanford University, prosecutors said. All five contained threatening messages and a powdery substance that investigators found not to be hazardous. U.S. authorities have been on alert for mail containing white powder since 2001, when envelopes laced with anthrax were sent to media outlets and U.S. lawmakers, killing five people. In 2016, white powder, which also proved harmless, was sent to the home of Eric Trump, Trump Jr.'s brother. "These kind of hoaxes may not cause physical harm, but they scare the heck out of people because most of us recall the anthrax mailings in the early 2000s when five people were killed," Andrew Lelling, the U.S. Attorney for Massachusetts, told a news conference. 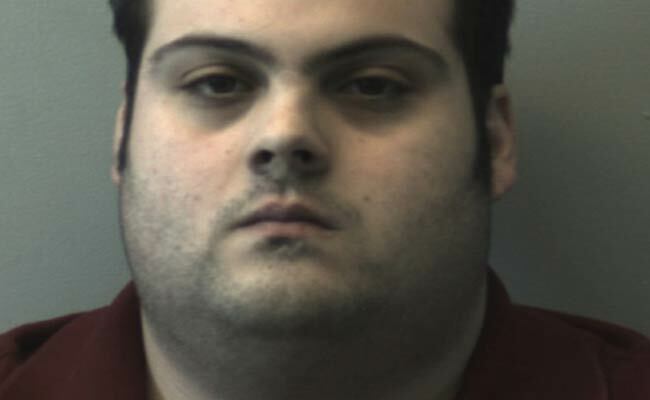 Prosecutors said reviews of social media posts led them to view Frisiello as a potential suspect and that a search of his trash revealed a computer printout referencing two of the people who received the threatening letters. Frisiello, was arrested at his home in Beverly, a suburb about 16 miles (25 km) north of Boston. Federal court records did not indicate if he had retained an attorney. He could be sentenced to up to 10 years in prison if found guilty of the most serious charge, that of mailing a threat.